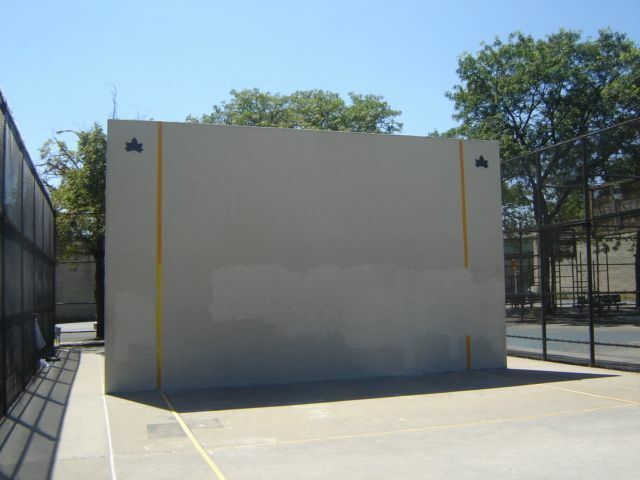 Bush Park is bounded by 61st and 64th Streets, Queens Boulevard, and the Brooklyn-Queens Expressway. In 1936, Mayor Fiorello H. LaGuardia (1882-1947, mayor 1934-1945) designated this land as parkland; however, construction on the future Brooklyn-Queens Expressway interrupted LaGuardia’s plans. In December 1936, the Regional Plan Association recommended the construction of a link between the Gowanus Parkway and the Triborough Bridge. What was then called the Brooklyn-Queens Connecting Highway was to be financed equally by federal, state and city funds. The construction of the Kosciuszko Bridge over Newtown Creek in 1939 was the first piece of what would later become the Brooklyn-Queens Expressway, commonly referred to as the BQE. The route of today’s BQE was planned by Parks Commissioner Robert Moses (1888-1981, commissioner 1934-1960) in late 1945. In October 1958, the BQE was designated Interstate 278, making it eligible for Federal funding to help with and with the rehabilitation of already finished sections. The final bit of the Queens section of the Expressway, including the segment that runs through Woodside, was completed in 1964. The BQE, Bush Park, and Little Bush Park now share the land that was once Bush Street. The construction of Bush and Little Bush Parks was part of Robert Moses’ Expressway Project. Moses felt that “the proposed park was located in a section of Queens which lacked adequate recreational facilities.” Construction did not begin on Bush Park until 1971, after the completion of the Brooklyn-Queens Expressway. Parks Commissioner August Heckscher and Queens Borough President Sidney Leviss broke the ground for the $460,000 project on July 13, 1971, for a park to be equipped with two softball fields, six handball courts, two volleyball-tennis courts, a badminton court, trees, benches, a water fountain, and a comfort station. 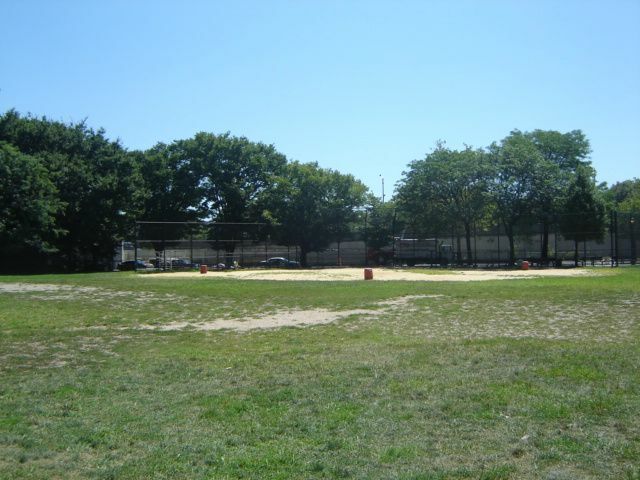 Commissioner Stern named the grounds Bush Park on June 18, 1987. 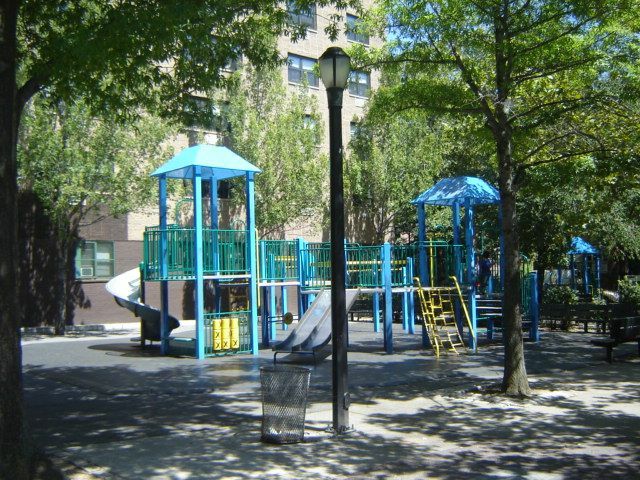 Today, Bush Park’s facilities include two baseball fields, climbing structures, swings, slides, handball courts and sitting areas. Members of neighborhood baseball and soccer youth leagues use the recreational facilities daily. A flagpole, lampposts, benches, and trees decorate the park.